You can create empty layers and add content to them, or you can create new layers from existing content. 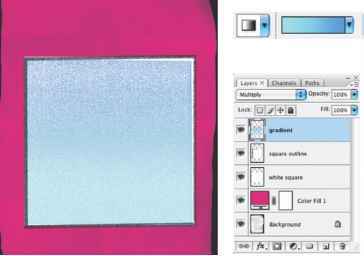 When you create a new layer, it appears either above the selected layer or within the selected layer set in the Layers palette. Layer sets help you organize and manage layers. You can use layer sets to easily move layers as a group, to apply attributes and masks to groups of layers, and to reduce clutter in the Layers palette. You cannot create a new layer set within an existing layer set.